This Wills & Probate course for secretaries and executive assistants beats other legal secretary courses in Wills & Probate in two ways. 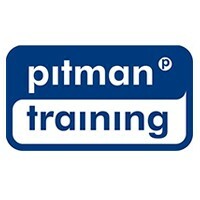 Firstly it gives you specialist legal secretary training from Pitman Training were highly respected by legal firms throughout Ireland. And secondly, we go further in giving you insight into the work of fee earners, to help improve your understanding of law firms and increase your opportunities. Whats more, we can also provide alternatives with both Scottish Law and English Law versions of this course. So, if youre considering a move to the UK, you can be confident that wherever you work, youve chosen the very best training. Your knowledge of Wills & Probate will be supported by a workbook, which you keep after the course. The course is also flexible, so you can fit in your studies around your work and home commitments.